Is 15 Minutes of Employee Engagement Sufficient? What is your engagement time zone? Why should you read this post? We often ask too much of engagement and find that there are many times we postpone, procrastinate, and struggle to get going with a specific element of work or well-being (right now, I am writing this rather than completing some tax work). The solution is to find and dwell in your unique engagement time zone. Our work occurs in moments and our well being is also to be found in moments. Yet how well do you show up to, and use your moments? How long can you stay engaged with your work or a given task? I think it is vital to know our engagement time zone. The way to do this is to start working with a timer and to set a specific time period for work. This work can be project work, writing, exercise, cleaning, or another task. Perhaps start with 15 minutes and see if you can both engage and sustain work in that zone. If you can’t stay engaged – lessen the time. If it is simple to lengthen your time zone if you find the current duration too easy. You may also find your time zone varies for different tasks or because of external events in your life. I often catch myself drifting away from my 15-minute time zone into a flurry of non-productive activity. Rather than looking for some underlying psychological reason or trying to sort out the neurology of work, I simply set my timer for the next 15-minute period and begin. Starting my watch timer for 15 minutes triggers engagement. 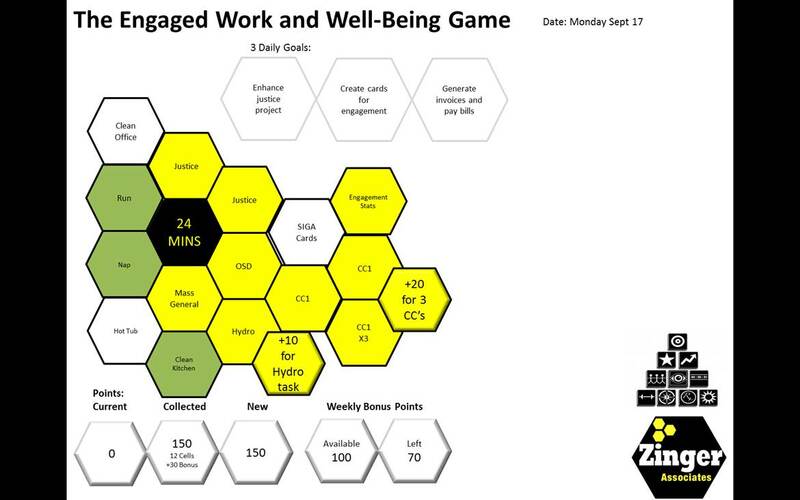 Last year, I conducted personal experimentation with the gamification of work and well-being. I worked in 24-minute time zones. Two of the most significant lessons from that year long experiment was to make my engagement periods briefer and simpler. 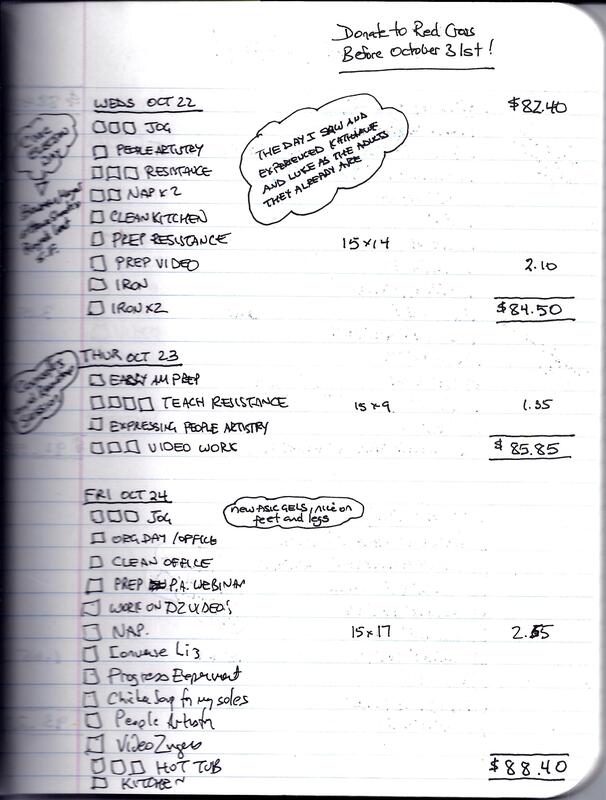 It is easier for me to start and maintain engagement for 15 minutes versus 24 minutes and I had an elaborate game mechanism that I reduced to using a notebook and simply recording each 15 minute period I completed. My 15-minute periods focus on both work and well-being. In addition, each 15-minute period completed results in a 15 cent social donation. The amount is deliberately small yet adds up as frequent engaged time zones are completed. My last donation was for $600 based on 15 cents for each 15 minute period of engagement. This went to the Red Cross for the victims of the Nepal earthquake. I encourage you to enter and keep re-entering your engagement time zone and I believe you will find 15 minutes, repeated many times in any given day, is more than sufficient for achieving engaged results. David Zinger is an employee engagement speaker and expert who uses the pyramid of engagement to increase engagement for organizations, departments, teams, and individuals. This post was based on the sixth block of the pyramid of engagement: mastering moments.